Continuing my exploration of earlier times in my life, I come to the 1980s. This was a very intense time in my life when I took on several full-time occupations as if I had clones of myself to do all the work. This piece is about my becoming an author of textbooks. It seems that they had a very successful two-volume textbook, Music in Theory and Practice (MTP) by Bruce Benward that they were having trouble with. Dr. Benward, it seemed, could not produce publishable manuscript without much editorial help. I was, of course, familiar with the history of this book. 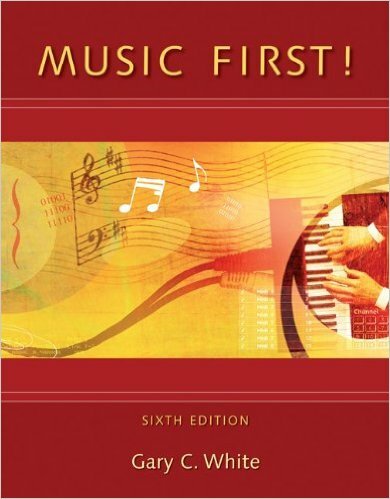 I had looked at the first edition with some interest because I agreed with its basic premise, that the beginning study of the theory of music should look at all aspects of music rather than simply concentrating on the study of harmony, as the traditional method had done. (I know you are all yawning by now, but these are the sorts of arguments that college professors engage in—rather like arguing about the number of angels that would fit on the head of a pin.) I had decided against adopting the first edition because it was filled with errors and seemed poorly organized. A second edition had been hastily put together a year or so later to try to correct the worst of the flaws, and that book had been relatively successful. To get a third edition out four years later, the publisher had hired a ghost writer to rewrite the manuscript. This version had been extremely successful and now they were looking for a long-term solution to their problem—how to get an author that they could depend on while keeping Dr. Benward’s name on the book, which guaranteed sales. They had heard about me from another of their authors, who was on our faculty. “Would you be interested in considering a joint authorship with Dr. Benward for Music in Theory and Practice?” I would have to say that such a thing was the farthest thing from my mind. At the time I was a very busy professor with a full load of teaching and a demanding career as a composer. The last thing I needed was another full-time career. However, I believe in never rejecting opportunities that appear on my doorstep without giving them some consideration (and this opportunity fit right in with my advanced case of workaholism). I agreed to go to the University of Wisconsin and meet with Dr. Benward for a discussion since the publisher was paying for the travel. My meeting with Benward was successful and we seemed to be a good fit for each other. I agreed privately with the publisher that I would be in charge of actually producing the future editions of the book and Benward would supply me with his ideas. That would work out well for everyone concerned, particularly in the financial area. Textbooks that are successful generate large sums of money, enough for everyone to be well paid for their efforts. At the time I didn’t have need for additional income, since I was being paid well as a professor and my compositions generated a small income. As I looked forward to retirement, however, I thought I might need some additional income to supplement the largess of Social Security and my university pension. I began work on the next edition of MTP and found that I actually enjoyed being an author. There was a lot to do to bring the book up to my standards. It needed to be reorganized and several new chapters written to fill gaps in the outline. Benward was easy to deal with, since all he appeared to want were the yearly royalty checks and the inclusion of a few of his pet ideas. He was happy to turn all the work over to me and collect his royalties. We produced the fourth and fifth editions of the book. They were even more successful than the previous editions. With easy money coming in for the next four years (new editions were usually produced every four years in those days), I began to think about other topics I might like to tackle as a sole author. The first of these was in the area of music fundamentals. I wanted to write a beginning textbook that wasn’t the dry factual approach that music fundamentals had always been. (Music fundamentals, for all you non-musicians, is the study of music notation, scales, intervals, triads, key signatures, and rhythm—the fundamental building blocks of Western music.) I wanted to involve the student with making music as they learned these basic facts. The publisher bought my idea and I wrote Music First! (This book is now in its sixth edition and is also doing quite well in the textbook market.) When the manuscript for this book was finished I approached the publisher about doing the page layout for the book, a task that they normally contracted out. With my computer skills and the new page-layout programs that were coming on the market, I thought I could do the job and not have anyone else making mistakes and messing up my manuscript. I got the contract for this job, thus beginning what was to become yet another full-time job. Never one to leave well enough alone, I authored and coauthored three more textbooks over the next few years and did the layout for all but the last one. The publisher was happy with my work as a “pager” for books and began contracting me for production of other textbooks they were bringing out. I accepted nearly all of these jobs. At one time, I was employing as many as ten student assistants to do research and to produce the short excerpts of music that dot music textbooks. I continued to do all the layout work. I was having fun and was working nearly all my waking hours, without regard for my health or the needs of those around me. With all the textbook work my career as a composer was being neglected. I’m sure that the quality of my teaching was beginning to suffer as well. If this sounds totally insane to you, well, it does to me too. Nevertheless that was how I chose to live about ten years of my life.